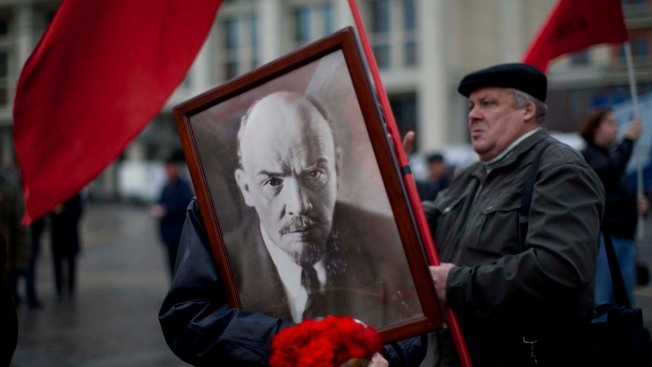 A Communist supporter holds a portrait of Soviet founder Vladimir Lenin, at Moscow's Red Square, Russia. In 1908, New York City's Board of Aldermen passed an ordinance prohibiting women from smoking in public (the measure was vetoed two weeks later by Mayor George B. McClellan Jr.). In 1950, former State Department official Alger Hiss, accused of being part of a Communist spy ring, was found guilty in New York of lying to a grand jury. (Hiss, who proclaimed his innocence, served less than four years in prison.) George Orwell (Eric Blair), author of "Nineteen Eighty-Four," died in London at age 46. Ten years ago: President George W. Bush visited community colleges in Ohio and Arizona, where he highlighted the economy and several new job-training initiatives he'd proposed a day earlier in his State of the Union speech. The recording industry sued 532 computer users it said were illegally distributing songs over the Internet. Five years ago: In a whirlwind first full day in office, President Barack Obama showcased efforts to revive the economy, summoned top military officials to chart a new course in Iraq and eased into the daunting thicket of Middle East diplomacy. The Senate confirmed Hillary Rodham Clinton as secretary of state. One year ago: A day after being inaugurated for a second term in a private Sunday ceremony, President Barack Obama took a public oath, summoning a divided nation to act with "passion and dedication" to broaden equality and prosperity at home, nurture democracy around the world and combat global warming. British movie director Michael Winner, 77, who'd made 30 films, including three in the "Death Wish" series, died in London. Today's Birthdays: Actress Ann Wedgeworth is 80. World Golf Hall of Famer Jack Nicklaus is 74. Opera singer Placido Domingo is 73. Singer Mac Davis is 72. Actress Jill Eikenberry is 67. Country musician Jim Ibbotson (The Nitty Gritty Dirt Band) is 67. Singer-songwriter Billy Ocean is 64. U.S. Ambassador to China Gary Locke is 64. U.S. Attorney General Eric Holder is 63. Microsoft co-founder Paul Allen is 61. Actor-director Robby Benson is 58. Actress Geena Davis is 58. Basketball Hall of Famer Hakeem Olajuwon is 51. Actress Charlotte Ross is 46. Actor John Ducey is 45. Actress Karina Lombard is 45. Rapper Levirt (B-Rock and the Bizz) is 44. Rock musician Mark Trojanowski (Sister Hazel) is 44. Rock singer-songwriter Cat Power is 42. Rock DJ Chris Kilmore (Incubus) is 41. Actor Vincent Laresca is 40. Singer Emma Bunton (Spice Girls) is 38. Actor Jerry Trainor is 37. Country singer Phil Stacey is 36. Rhythm-and-blues singer Nokio (Dru Hill) is 35. Actress Izabella Miko is 33. 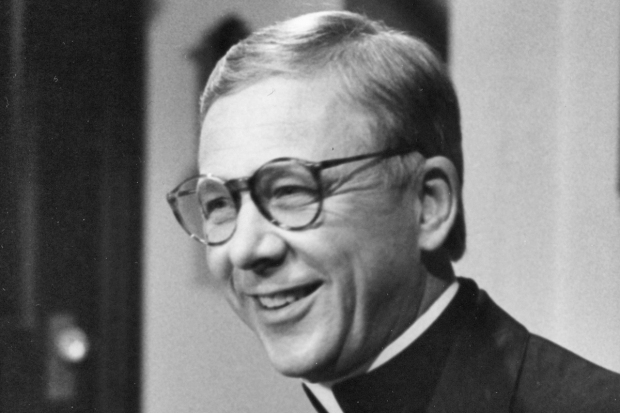 Thought for Today: "Would to God that we might spend a single day really well." — Thomas a Kempis, German monk and author (c. 1380-1471).